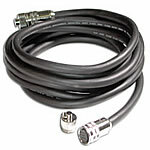 Perfect for connecting 2 RapidRun™ UXGA Runner Cables together when you come up short. 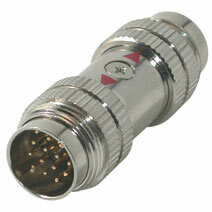 RapidRun Female/Female Couplers are the solution for connecting two Flying Leads together without the need for a Runner, allowing the user to easily create custom length patch cables in the field. 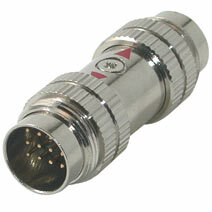 The male to male DIN coupler is designed to connect two RapidRun (5-Coax) Runners together. RapidRun Female/Female Couplers are the solution for connecting two Flying Leads together without the need for a Runner. Two coupling rings are provided with every PC (yellow) and Multimedia (blue) RapidRun Runner cable for connecting the Break-Away termination. This replacement 2-pack is available for the times when those rings are lost or misplaced. 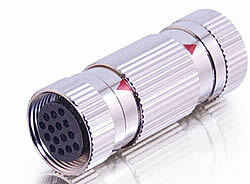 • Attach the Coupling Ring to the Runner Cable. 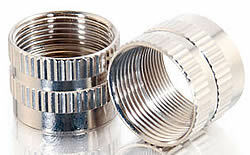 • Each end of the Coupling Ring has different threads. 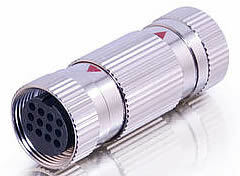 The knurled end will face away from the cable. • Connect the Break-Away Flying Lead or Wall Plate to the Runner Cable via the Coupling Ring.